The racking self-assessment charts helps you to carry out safety checks in a structured way with a check list for potential issues & regulations to adhere to, aiding efficiency and time managment. With its write on wipe off surface the chart can be updated many times. 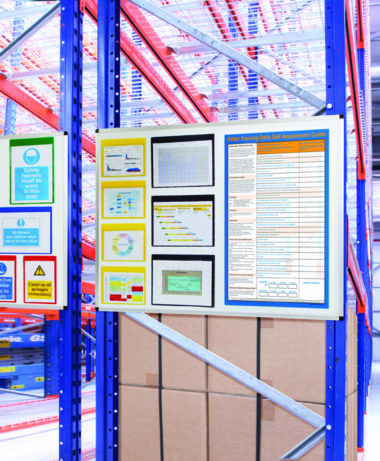 Warehouse Supplies, Warehouse Rack Signs. 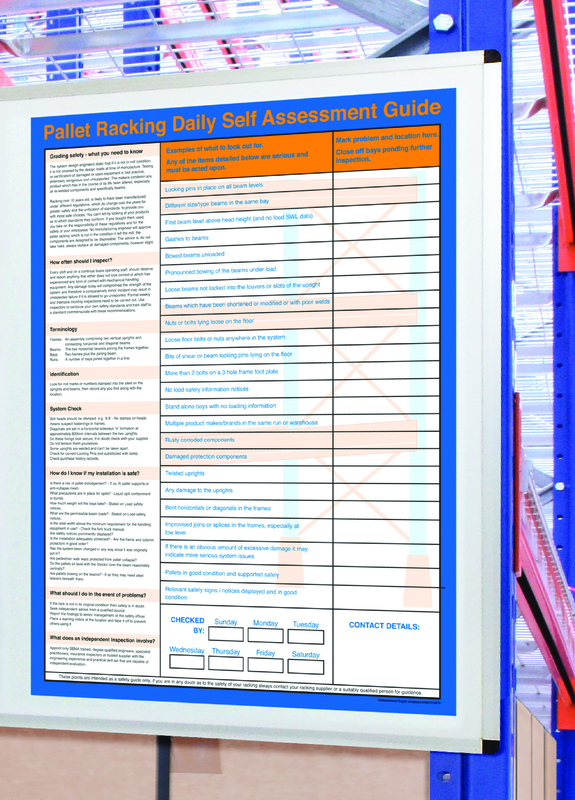 The non adhesive backed racking self assessment chart can be mounted to various surfaces with a method of your choice. 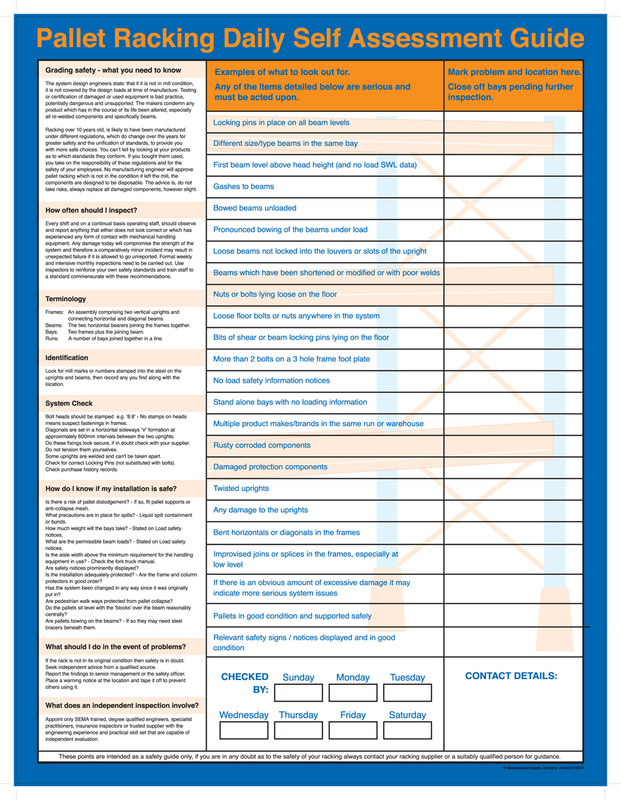 The chart enables regular, structured inspection checks of your racking. It is clearly evident for all to see when the last check was done and helps to highlight any issues. As an employer it is vital you have a system in place that can be performed in a structured way and to know your responsibilitys. The rise of buying used racking also means that as an employer you take on the responsibilitys of these regulations and for all employee’s safety.